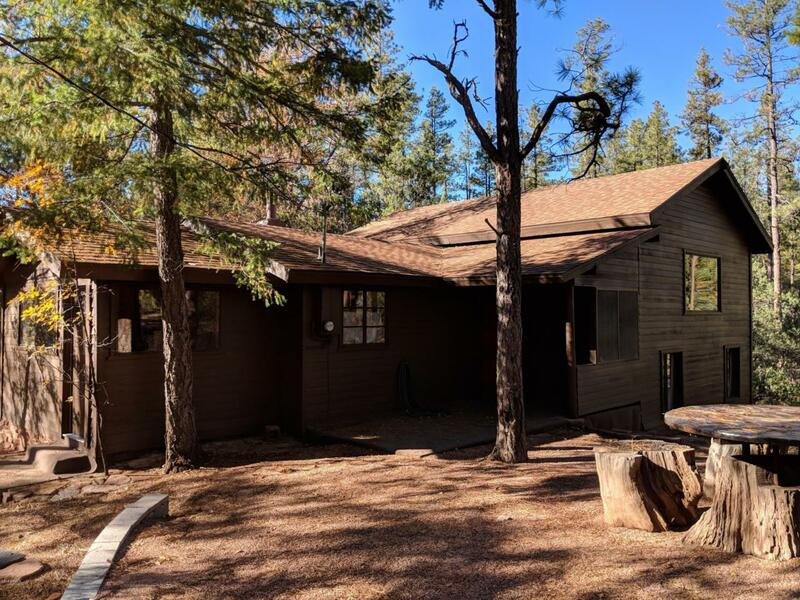 Very private one acre lot with tall pines and views of the Rim. Common area on 2 sides. 4 Bedrooms, 1 Bath, large mudroom with full bath. Combo kitchen and dining with a functional wood cookstove, step up to living room with windows on 3 walls for great views and a rock fireplace, step down to 4th bedroom. Lots of space. Roof only 4 years old, electric panel upgrades. See Canyon is comprised of 58 one acre lots and 67 acres of common area with community water. Homes only. Surrounded by USFS great access to hiking and wildlife. 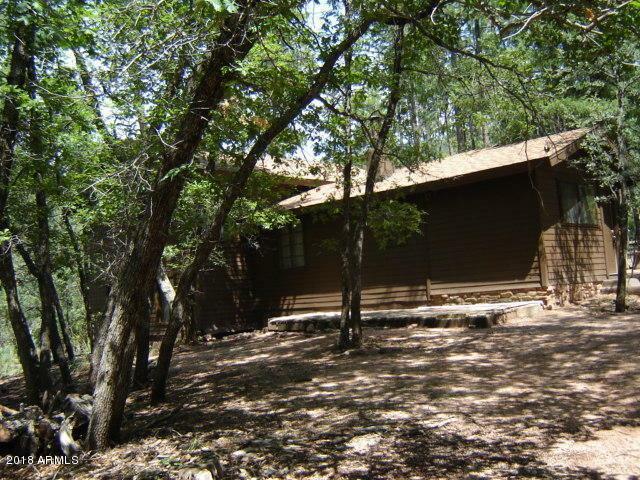 Close to market, 2 restaurants, Fire Dept and year round Christopher Creek. Invest in your legacy with a cabin retreat for generations of enjoyment.